Season 4 Professional and Proving Grounds Sign Ups! Hello coaches! If you are interested in participating in season 4 of professional play OR season 4 proving grounds please post in this thread in this format. Team Race - undecided (you will have some time to decide on a race/team but we request that coaches have their team race selected no later than Wednesday Sept 13th for a TENTATIVE season 4 start date of Sunday Sept 17th. Regardless of whether you wish to play in pro or in proving grounds please post in this thread. Preference for pro spots will be given to previous professional coaches as well as last seasons proving grounds winners but is NOT A GUARANTEE. If you have any questions don't hesitate to ask myself, Commie Cozy or DaltMC. EDIT! Any coach who has NOT yet registered for the league will not be considered for play. 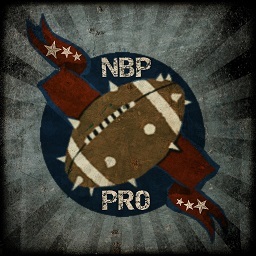 Please register at www.nbp-pro.com/registration/ this is only for NEW coaches if you have already registered in the past DO NOT REGISTER AGAIN. Edit Edit! We have our coaches! Thanks to everyone who signed up remember S4 kick off is Sunday Sept 24th! Race - ORCS -GORD YA BULLDAWGS!